“High cholesterol is a risk factor for atherosclerosis, or hardening of the arteries. Can’t tell the difference between “good” cholesterol and “bad” cholesterol? This is where I come in- I can explain cholesterol clearly and help you to manage your cholesterol levels”. Cholesterol is a fatty substance that occurs naturally in the blood. We often hear about how bad cholesterol is, but cholesterol is not all bad. In fact, we wouldn’t be able to live without it! Cholesterol performs important functions in the body, including playing an important role in tissue and hormone formation. It also protects nerves, and it aids digestion. Cholesterol helps form the structure of every cell in the body. There are two main sources of cholesterol. Most cholesterol–approximately 75 percent of it — is made in the liver and in other cells in the body. The remaining 25% of cholesterol is supplied by the foods we eat. What is the difference between “bad” cholesterol and “good” cholesterol? LDL stands for “low density lipoprotein.” LDL is considered to be “bad” cholesterol because it can clog arteries and increase the risk of heart attack and stroke. The body produces LDL cholesterol, and some people inherit genes that cause overproduction. If high cholesterol runs in your family, it can be a real challenge to keep your LDL low, but reducing the amount of saturated fat, trans fats and cholesterol in your diet helps. HDL stands for “high density lipoprotein.” HDL is often referred to as “good” cholesterol because it plays an important role in keeping “bad” cholesterol from getting lodged into the artery walls. A healthy level of HDL is believed to protect against heart attack and stroke, while levels of HDL that are too low have been shown to increase the risk of heart disease. A heart-healthy diet and plenty of exercise are among the best ways to manage cholesterol levels to lower the risk of heart disease and stroke. 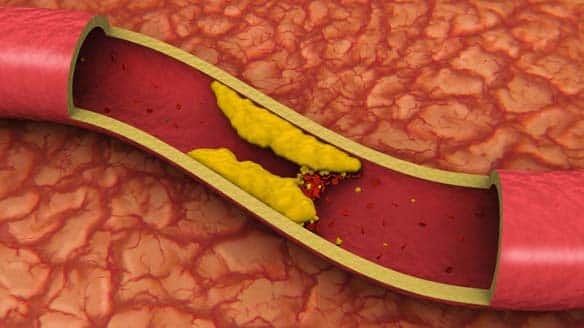 The process of cholesterol and other fatty substances building up in the inner lining of an artery is called atherosclerosis. The buildup itself is referred to as plaque. Plaque is dangerous because it can cause the formation of a blood clot (thrombus). Another danger of plaque is the potential for pieces to break off and block the flow of blood through an artery. Complete blockage can result in a heart attack or stroke. Atherosclerosis is a slow, progressive disease. Recently it was learned that atherosclerosis can start as early as childhood. No matter how healthy we are, as we grow older, it is normal for some hardening of the arteries to occur. How much and how fast atherosclerosis progresses varies from person to person. Much of the variation is due to genetics. Obviously we cannot control the genes we were born with. The good news is that we can control the choices we make. Making the right choices can help delay the progression of atherosclerosis. Many scientists believe that atherosclerosis begins when the innermost layer of the artery becomes damaged. Elevated levels of cholesterol and triglycerides in the blood are among the chief causes of damage to the arterial wall. High blood pressure and cigarette smoke can also contribute to significant arterial wall damage. Damage to the artery causes it to become thickened, and often leads to accumulation of cells and surrounding material that can obstruct the flow of blood. If the diameter of the artery is reduced, less blood is able to flow, and this decreases the oxygen supply. If the oxygen to the heart muscle is reduced, a heart attack can occur. Reduced oxygen supply to the brain can cause a stroke. And reduced oxygen supply to the extremities can lead to peripheral vascular disease. 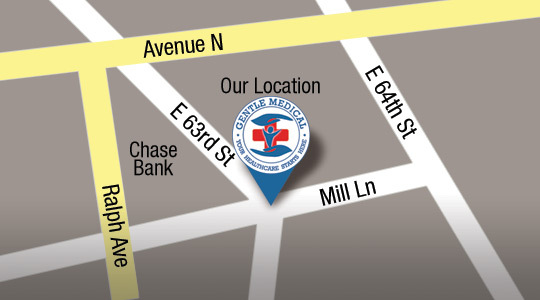 If you haven’t had your cholesterol checked lately, it might be time to make an appointment to come see us. A simple blood test will provide measurements of your HDL and LDL cholesterol, as well as your triglyceride levels. Based on the results, we can work together to manage cholesterol. If diet and exercise are not enough to achieve your goals, we can discuss medications to help keep your HDL (good cholesterol) high and your LDL (bad cholesterol) low.